LOCAL TRADE IN SUPER NICE!!!! CARFAX AVAILABLE NO ACCIDENTS!!!!! Here's a 2016 Honda CR-V EX-L with 52,000 miles for o0nly 19,995.00!!! This Honda CR-V EX-L is loaded with options, here are just a few, keyless entry, alloy wheels, back up camera, power sunroof, power heated leather seats, AM FM CD stereo system with satellite radio available, dual climate control, lane change monitor and blind spot indicator, Bluetooth, auxiliary and usb ports, ALL WHEEL DRIVE, traction control, information center and much more!!!!!!! COME BY AND SEE RUSS OR JEFF TODAY OR CALL US @ 919-776-1522!!!!! 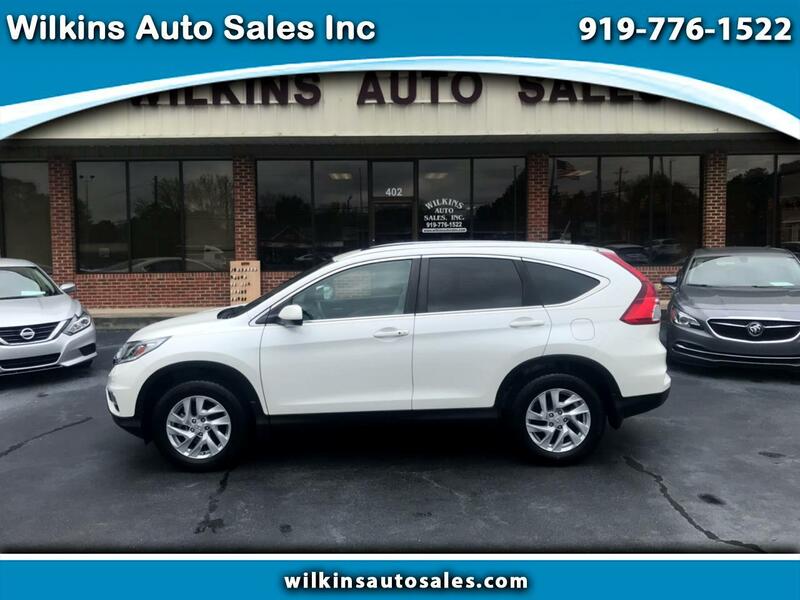 Visit Wilkins Auto Sales Inc online at wilkinsautosales.com to see more pictures of this vehicle or call us at 919-776-1522 today to schedule your test drive.